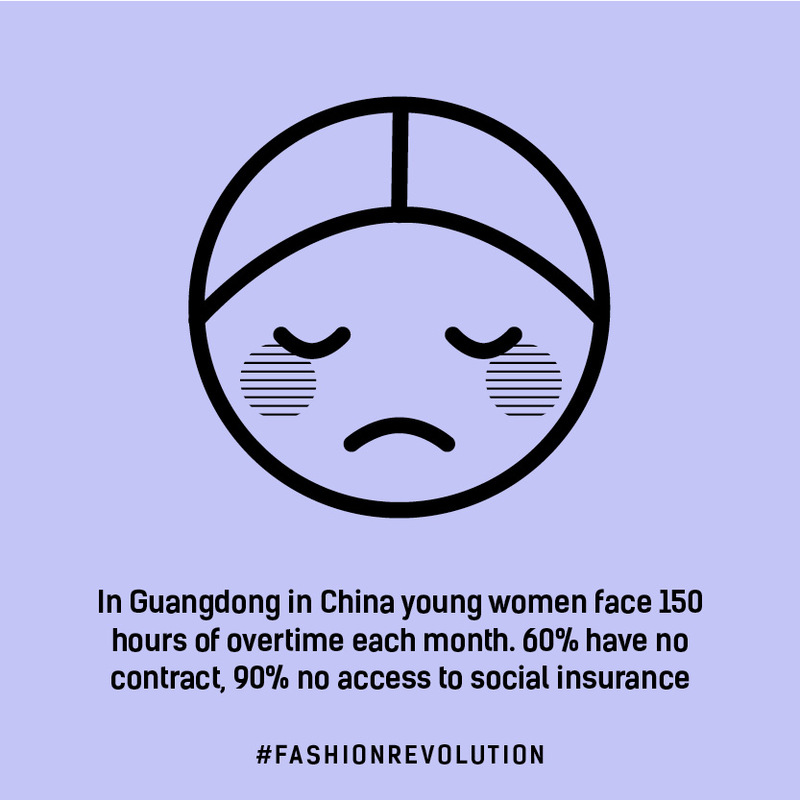 80% of workers in the garment industry are women, aged 18-35. Women with families and children. Their wages are often the sole household income, and on average support three people. Just try to imagine supporting three people, by yourself, while on minimum wage. Imagine working 150 hours of over time every month, for minimum wage. Imagine minimum wage was as low as £44 per month. This is the reality of the people who make our clothes. Not only do the women working in garment factories receive sub-standard payment, they also receive harassment and abuse from their employers. It is estimated that in the numerous developing countries where Western clothing is produced, millions are living in modern slavery. The governments of these countries do little to protect the human rights of their citizens, and the clothing companies being supplied distance themselves so far as to have no knowledge or data regarding working conditions and pay of the garment creators. If you need further convincing that we need to change our attitude towards fashion, remember Rana Plaza. On April 23rd 2013, concerns were raised over the structural safety of garment factories in the Rana Plaza building. Workers were evacuated, but after being pressured to return (threats of docking their much needed wages, and threats of losing their jobs), they were back to work on April 24th. The building collapsed and 1,138 people were killed. 2,500 were injured. This is the cost of fast fashion. I am a feminist and always will be. Yes, there are good intentions behind buying a piece of clothing from Primark/H&M/insert-high-street-shop-here boasting empowering, feminist slogans. But they are honestly doing more harm to women than good. Using an item of clothing you already own, paint or embroider a meaningful statement. This would look great on a denim jacket or an up-cycled t-shirt. Buy a t-shirt made by a woman-led, ethical company. Check out Tolly Dolly Posh's Ethical Directory to find some. If you already own a feminist slogan tee or other garment, take to social media and ask who made it. Tag the brand and demand transparency from them. Later on during Fashion Revolution week, I'll be sharing the small ways I personally work towards a Fashion Revolution. For now, see my previous post for more information on how you can help, and also see the sources and further reading below. *P.S. 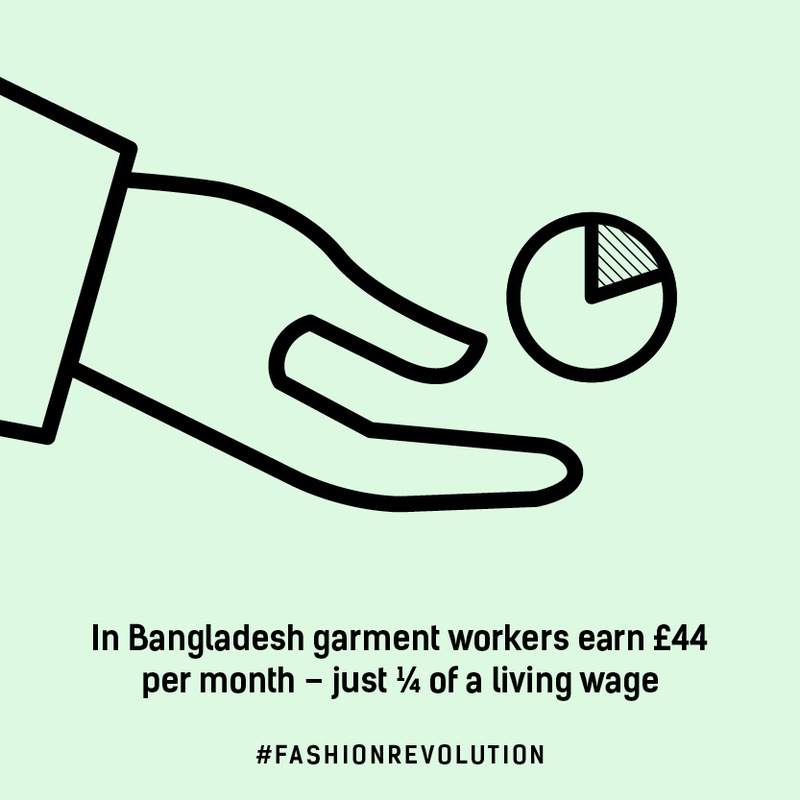 This post is not to undermine or devalue the millions of male workers within the garment industry, who are also subject to severely low pay and a disregard of human rights. I'm only hoping to show the connection between feminism and Fashion Revolution. Yup totally agreed with your post. I don't think it should an issue of feminist. But thanks sharing this issue. Its so easy to forget about where our clothes from, and i’m definitely guilty of sometimes not seeing where something was made, or by what label, because i just want to live in ignorance and own the dress. But I am trying to be more conscious of how my decisions are affecting women and children in other countries. The best result giving products are always preffered everywhere.Wish you best of luck for future. I am also a feminist, and it hurts me when they profit from women. I have an idea to sew clothes myself. What do you think about self-tailoring? Is it possible to be fashionable?